Continuing my bean days, I made split pea soup last night and let it simmer in the slow cooker until midday today. Abby and I both had some for dinner and were very pleased. Speaking of my wife, for Valentine’s Day last week, along with a nice rose arrangement I had sent to her at work, I bought her a metal rose, which is made from a corrodible iron or steel, creating a very rustic texture. She loved it. 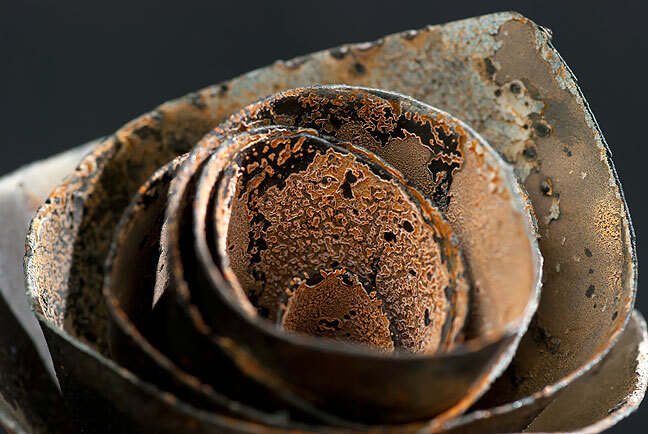 The texture on this metal rose is incredible.